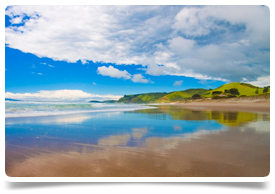 We are currently recruiting an Internal Medicine Physician to join a friendly and supportive team, based in Hawke’s Bay – an area well known for its warm and sunny climate, fine wine and Art Deco Architecture. You will have a broad range of skills in internal medicine, in particular the ability to work within and to lead multidisciplinary teams within primary and secondary services. The Department of Medicine has 23 Physicians plus 3 Geriatricians with 16 contributing to the general medicine roster. You would be part of a ward based team offering inpatient general medicine. There may also be a small outpatient clinic. The hospital has sub-specialists in most areas. This role offers a great opportunity to develop your career, enjoy the benefits of a fantastic region and achieve a desirable work life balance.